It begins in late November on a rainy morning in Paris. The previous day had almost been a write-off – fog-induced flight cancellations in London and then an extended spell in rush-hour traffic on the southbound autoroute from Charles de Gaulle didn’t exactly provide a picture-postcard welcome to one of Europe’s most alluring cities. The UK and France may only be separated by a single one-hour timezone, but spending the best part of a day in an airport causes a palpable sense of disorientation, as does waking up before dawn to find the city lights still flickering through the drizzle running down our hotel window. And who are they, you ask? Ageing rockstars with a vault full of storied gear and shady anecdotes to match? Members of the French business elite who have chosen to invest their Euros in the ever-appreciating stock of golden-era Gibsons and Fenders? Those of you who spend far too much time looking at other people’s guitars on the internet may already be following Matt’s Guitar Shop on Instagram, the account of self-confessed guitar-addict Matthieu Lucas. Lucas is the owner and curator – along with store manager Max Bruneau – of a collection that’s been amassed by buying and selling primarily in the digital domain, although the pair are currently on the lookout for a showroom in central Paris. Developing a business online first before investing in bricks and mortar has become a familiar story in recent years, but the most startling fact in all of this is that Matt is just 25 years of age. You’d be forgiven for thinking that an inheritance or lottery win can be the only explanation for someone so young being in possession of a treasure trove of gear, but Matt simply traded his way up. Although he admits to not being particularly academic, there’s no doubting his entrepreneurial savvy. 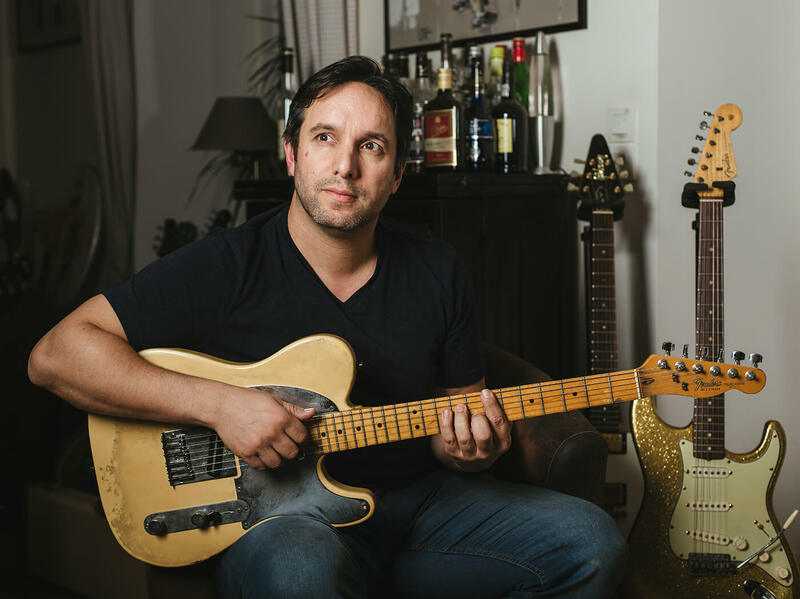 The journey began when Matt used some of the money he’d made waiting on tables to buy a vintage Jazzmaster that he’d seen advertised for sale locally. Unbeknown to him, he’d stumbled over a prototype that was worth a lot more than he paid for it. 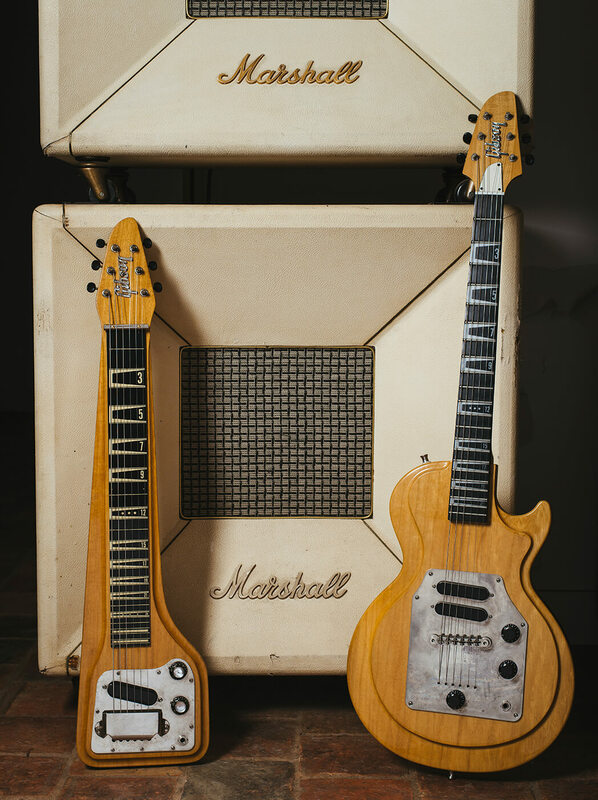 Matt sold the guitar to Norman Harris of Norman’s Rare Guitars fame in California and used the profit as a springboard to start dealing in vintage instruments. He eventually traded up to a player-grade Burst, and it was the sale of this that allowed him to start competing in the big league and acquire such instruments as a former Bonamassa 1959 Les Paul, Jeff Buckley’s Telecaster, a Hendrix Stratocaster and much more. During the day that we spend hanging out with Matt at his place, along with Max and a trio of canine assistants that includes a pair of exuberant Dalmatians, it feels as though we barely scratch the surface. Matt realised early on that celebrity-owned gear with provenance was a lucrative area in which to invest, as the fan-appeal of the artist connection will often amplify the value of an instrument way beyond that of an equivalent piece with no connection to a famous player. A remarkable 1960 flametop 6120 formerly owned by Brian Setzer, Tal Farlow’s prototype Gibson signature model and gear owned by Slash, Richie Sambora, Gary Moore, Billy Gibbons, AC/DC and many more will have to wait until another day. Across the following pages, Matt talks us through some of the highlights of his guitar-trading career to date. Over two decades on from Jeff Buckley’s death at the age of just 30 in 1997, the loss of such an astonishing talent still feels, in artistic terms at least, like one of the great unresolved cliffhangers in the history of popular music. Unfinished studio recordings and demos such as The Sky Is A Landfill and Jewel Box hint at a songwriter and performer capable of both explosive drama and aching fragility, who was just beginning to spread his wings. Although Buckley also used a Les Paul Custom and a Rickenbacker, this 1983 Telecaster – loaned to him by a photographer friend Janine Nichols in 1991 after all of his valuables were stolen from his Los Angeles apartment – was the guitar that remained his number one: from the East Village coffeehouse gigs at which he made his name, throughout the recording of Grace and right up to his untimely death. After his passing, Buckley’s family returned the guitar to Janine Nichols, who sold it in New York. It was in the possession of a British collector for around six years until Matt bought it in October 2017. It definitely resides in the ‘not for sale’ section of Matt’s collection. Although accounts differ as to exactly when Buckley installed the Seymour Duncan Hot Lead Stack pickup in the bridge position, it was certainly in situ for the extensive Grace tour dates and festival appearances in 1995, and Matt says the unique sound of the guitar may in part be down to the way the pickup was fitted: “I think it was solder work that was not properly done – but it sounds like it’s almost dead or out of phase,” he says. Although Matt was familiar with Buckley’s music when he bought the guitar, it was only later that the significance of the instrument hit home. “After buying it, I realised that he inspired so many artists,” he reveals. “The other day, we showed it to Matthew Bellamy of Muse and he said he started to sing the way he sings because of Jeff Buckley. Matthew told me that he discovered him at a festival and he inspired the singing and guitar playing on the first two Muse albums. Perhaps the jewel of Matt’s glittering collection is ‘Spot’, the Gibson Les Paul Standard serial number 9-1688 with distinctive double-white PAFs, an incredible top and the unfaded dark patch of finish down at the tail end that gave the guitar its nickname. Although Spot has changed hands several times, in recent years it’s been one of Joe Bonamassa’s go-to Les Pauls. 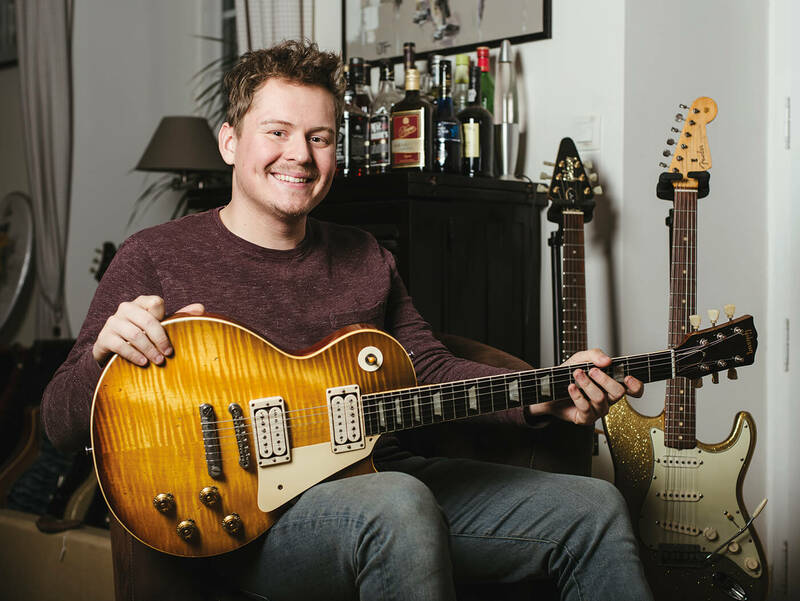 When Bonamassa put the guitar up for sale through Rumble Seat Music in Nashville – the city in which he was in the process of buying a second home – Matt took the opportunity to buy a guitar that he’d long lusted after. 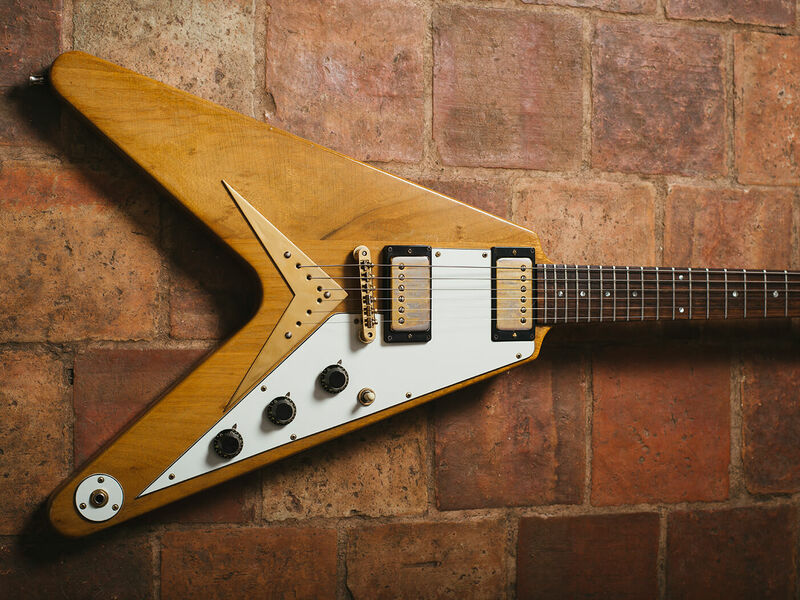 When a guitar of this stature comes onto the market, prospective buyers have to move fast. “When Joe decided to sell it, I saw the news and we texted each other,” Matt recalls. “I texted the guy who was managing the sale at Rumble Seat Music. The day Joe decided to sell Spot, it was a done deal. Joe was very patient with me and he gave me a lot of time to cover it, because he knew that it was going to be one of my dream guitars that I would keep and play. I think he loved the way that we were as passionate about the guitar as he could be. “Every time I see Joe, when we talk about Spot, he says: ‘Yeah, I still love that guitar.’ I don’t think he regrets it, but he surely misses it… I think he owned it for seven or eight years, it was in his rig for every tour, every studio album, he composed a lot with it. It was a big part of his vintage-guitar career. The 25-year-old admits to having played close to 200 original Bursts – this writer is into double figures but has a long, long way to go to catch up. In the light of his experience, we ask Matt what, even by the stratospherically high standards of 1958-60 Les Pauls, makes Spot different. 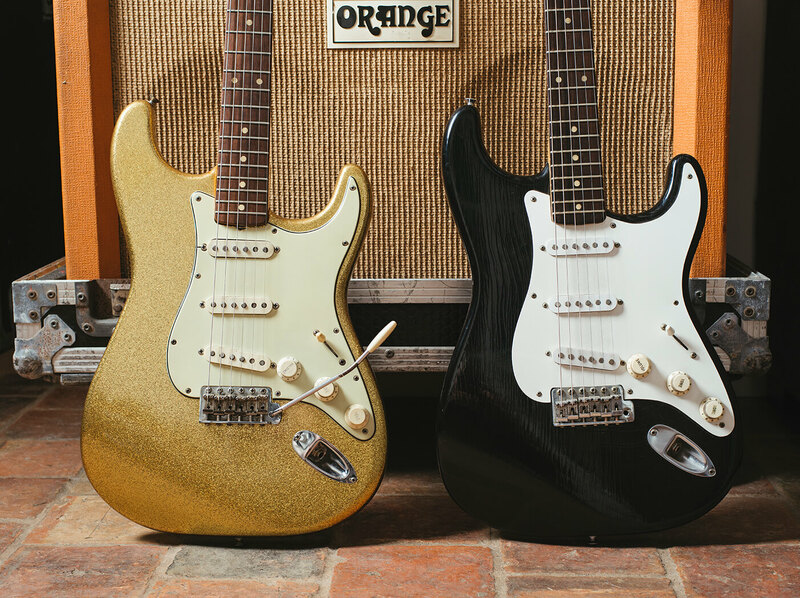 That brings us to our next question: what does a guitar collector do once they’ve found the one? From one amazing Les Paul to another. 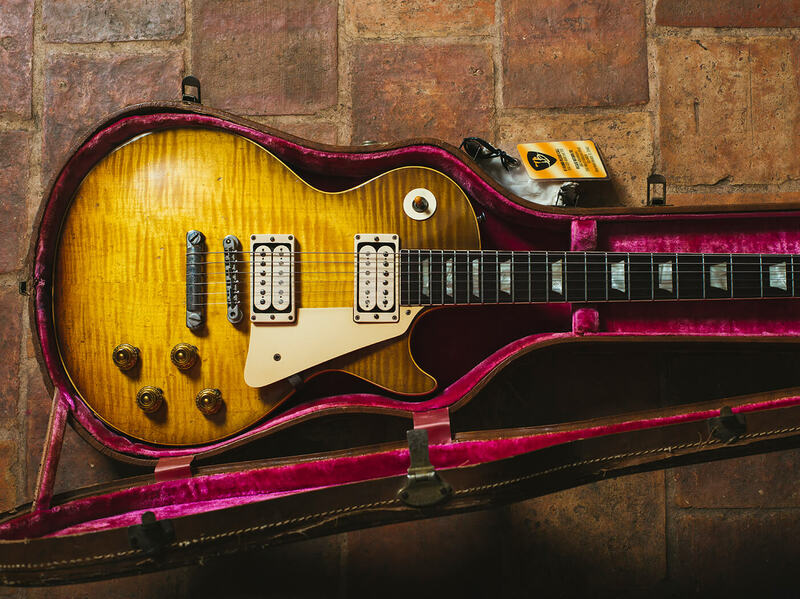 The next instrument to be removed from its case and placed gently on the tiled floor of Matt’s 17th-century home for our perusal was owned by a teenage Paul Kossoff prior to Free, and quite possibly traded with Eric Clapton and played onstage with Cream in 1967. Kossoff apparently scraped the yellowed lacquer off the binding of the then-10-year-old guitar to restore it to its original white appearance, and blacked out the ‘Les Paul Custom’ legend on the truss-rod cover. He also wrote his name on stickers that he stuck to the underside of the control and switch cavity plates. “When we started doing business, we tried that guitar maybe like five years ago,” remembers Matt. “We went to see the guitar, but we didn’t have the money. Then last December, another guy was selling it and we figured it out. 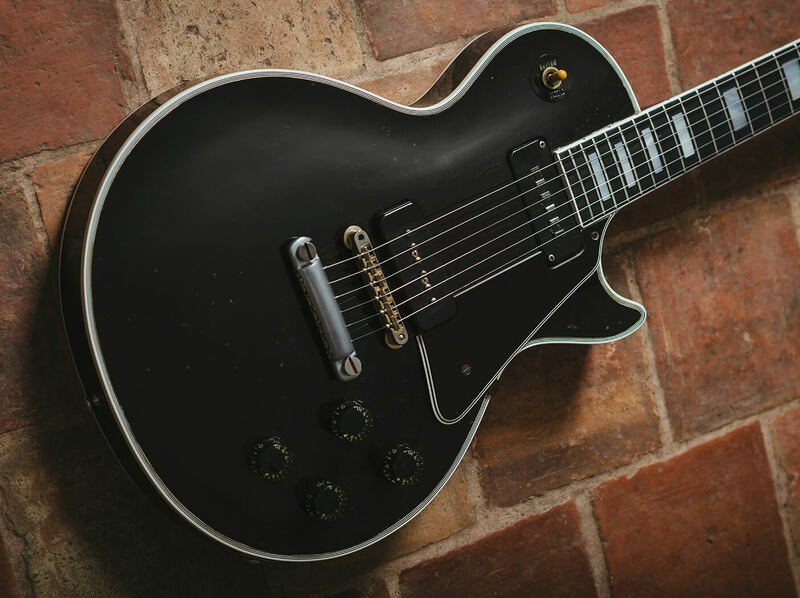 It’s a ’55 Black Beauty bought by Paul Kossoff’s father in the USA, and he brought it back to his son in London. Our attention turns to the guitar that we referred to earlier – the precious cargo that rode part of the way here with us in the back of the van. One of Hendrix’s first Stratocasters, Jimi played this guitar when he visited Juggy Sound studios in New York, where he worked in 1965 after parting ways with Little Richard. The Strat previously belonged to studio owner and R&B producer Henry ‘Juggy’ Murray Jr. It generally stayed at the studio, although Hendrix took it along to various other sessions and it even made its way to his father’s house in Seattle. Jimi’s younger brother Leon remembers seeing the guitar when the pair lived together for a time in 1968, while Seymour Duncan recalls working on the instrument’s pickups. 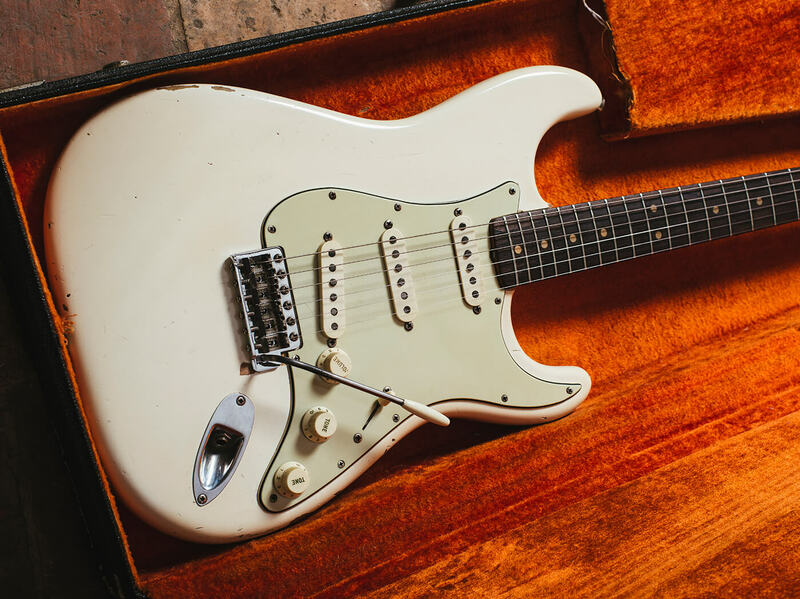 The white paintjob is actually a very old refinish that may even have been done by Hendrix himself, who obviously had a preference for white Stratocasters. That said, his brother remembers him being less than keen on the mint-green ’guard. A left-handed strap button was never added, but this might be explained by the fact that Jimi mainly played the guitar in the studio. There’s also photographic evidence of him playing a Jazzmaster live with Wilson Pickett in 1966 using the stock, right-handed strap-button orientation. If it did get in his way, he obviously found a way to cope with it, and he could have done the same with this guitar. 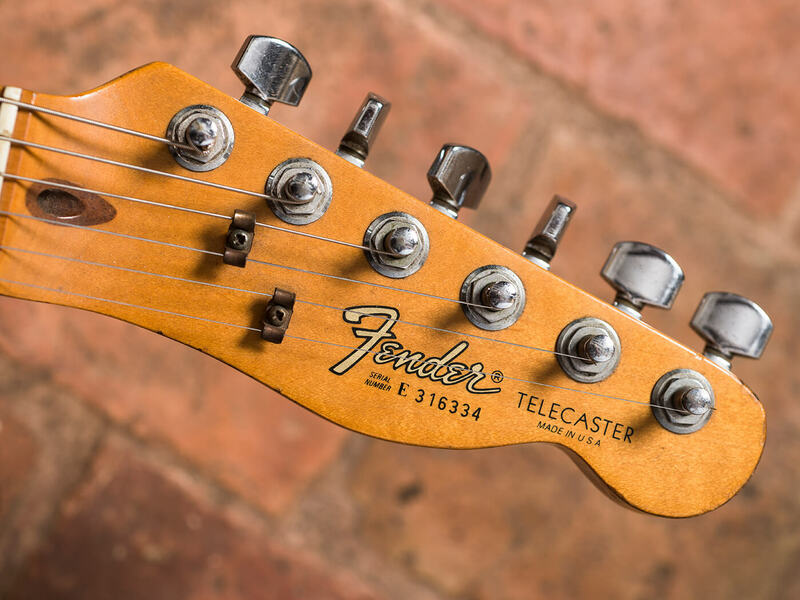 “From what the provenance says, it was one of his first Stratocasters,” says Matt of the 1963 model. “The tremolo arm was modified by him to be more playable for a leftie. You can see dings along the neck from rings that appear to be from a leftie player. As our time with all of these amazing guitars comes to an end and we prepare to venture back into the traffic, we start to think about that magic. Some of the guitars on these pages are objectively fantastic instruments, regardless of association. The David Knopfler Strat, for instance, is one of the nicest pre-CBS Stratocasters we’ve ever played and it stands out even in the company of other Fenders from the same era. And Spot? In terms of tone and feel, it’s comfortably up there with the very best of the dozen-or-so Bursts we’ve spent a meaningful amount of time with and that top really is jaw-dropping. And then there’s the Jeff Buckley Telecaster. 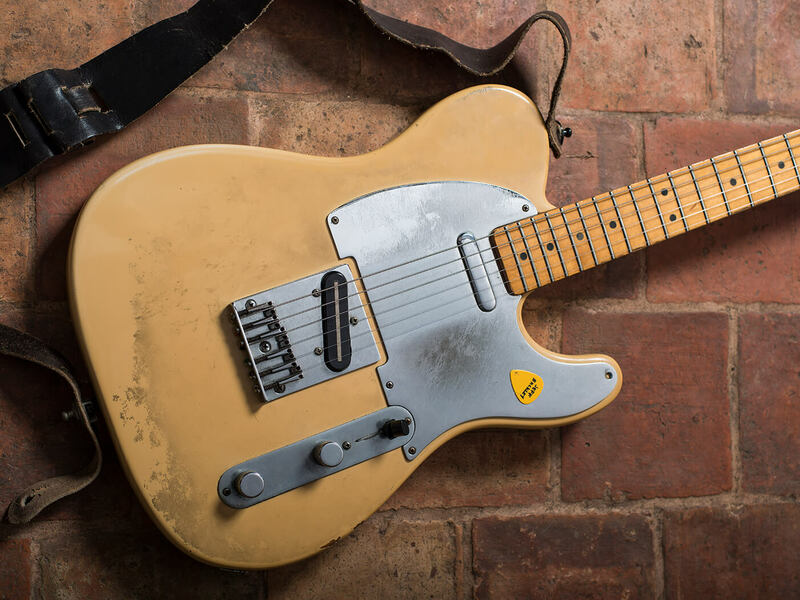 Matt’s right – on paper, not many people get excited about 1983 Telecasters. Yet before you even plug it in, there’s something about this guitar: a crystalline quality even to its acoustic voice that hints at the kind of beautiful clean tones that Jeff Buckley coaxed from it. Perhaps he played it so much that it opened right up, or maybe it was greater than the sum of its parts from the moment it rolled off the production line. Follow @mattsguitarshop on Instagram or visit mattsguitar.shop to see the current inventory. 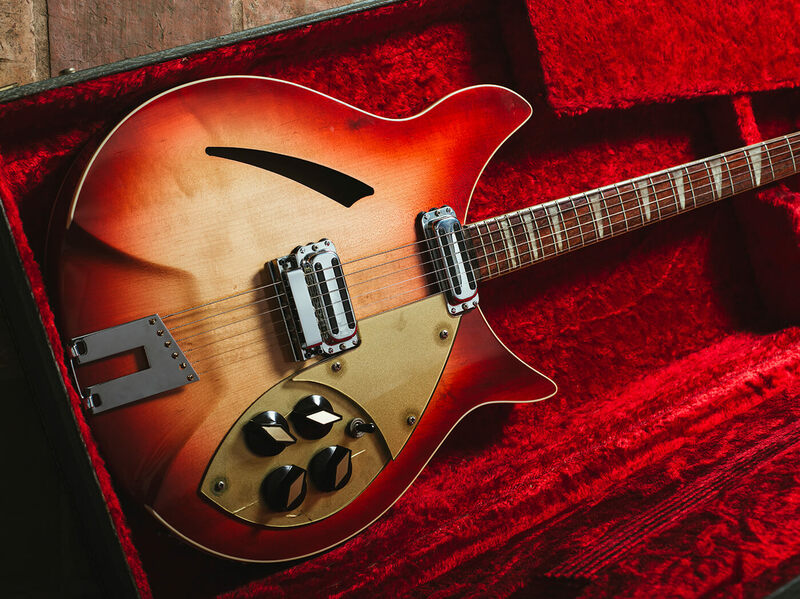 We’ll be publishing more in-depth looks at these guitars, so watch this space!